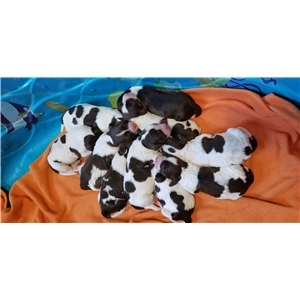 10 AKC Springer Spaniel puppies for sale. 5 males, 5 females. All liver/white. We own both parents. Parents come from great bloodlines and have calm, loving personalities. 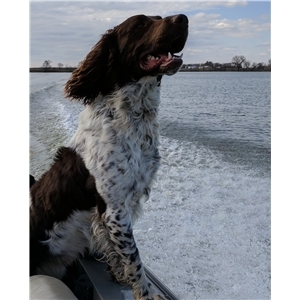 Both worked great hunting pheasants last year. 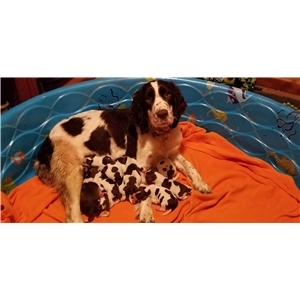 Pups will be ready on April 4th. 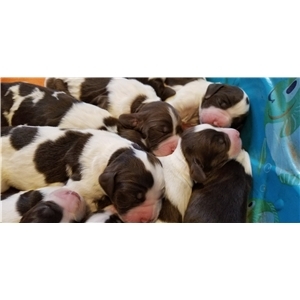 These puppies are family raised and heavily socialized. Located in Hartford, SD.